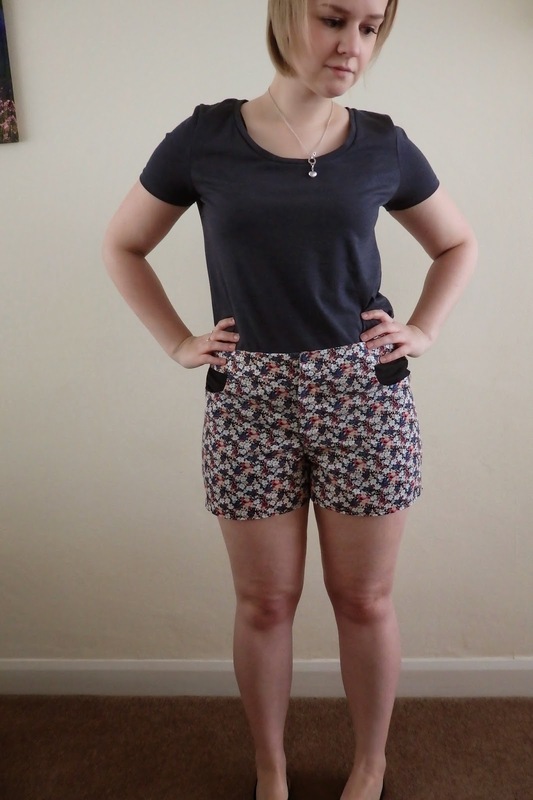 hey everyone… I MADE SOME SHORTS. 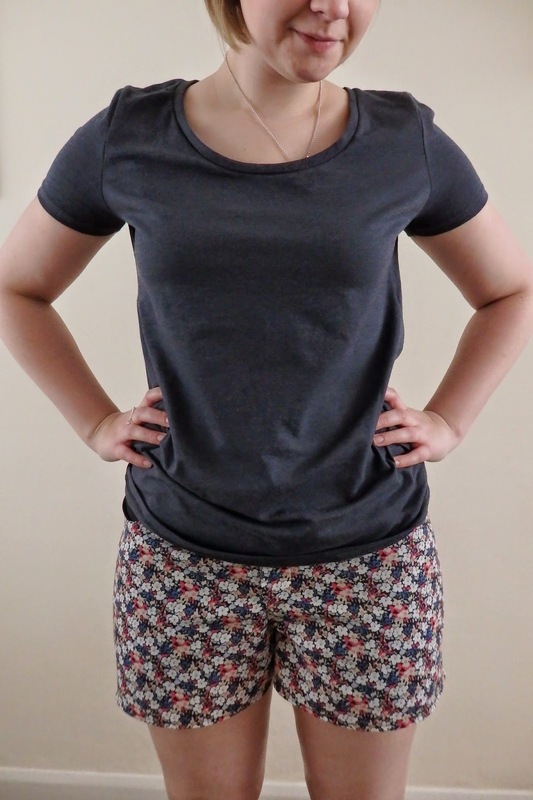 these are the maritime shorts by grainline studio. i made these out of a cheap cotton i bought from the rag market (might have been £2 a metre) and used black cotton i already had for the pockets to pick up the outline of the flowers. i was hoping these would be a wearable muslin and was trying to prepare myself for them not fitting first time round. 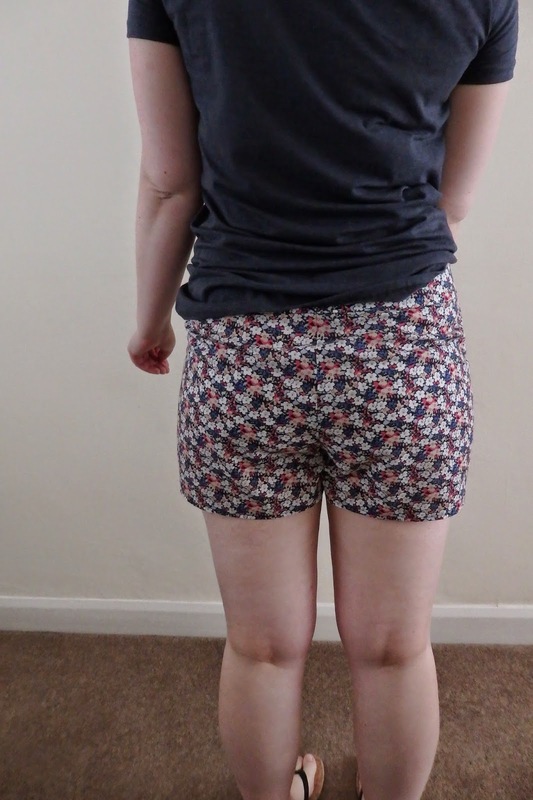 i’d never made any shorts/trousers before, i didn’t know what kind of fitting issues i may have. turns out, these fit me really well without any modification! 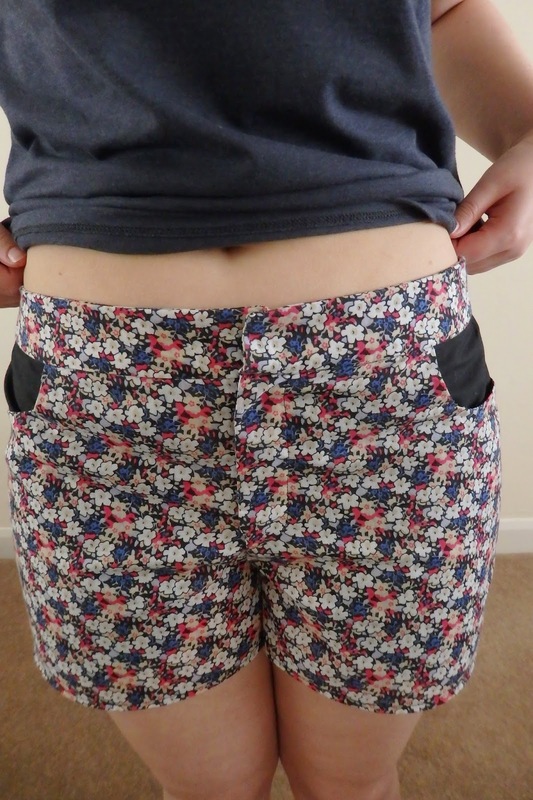 i cut the size 12, and although there is a bit of excess round my waist, maybe an inch or so, i won’t be changing anything on my next pair because i don’t want them to dig in or be uncomfortable when i sit down. 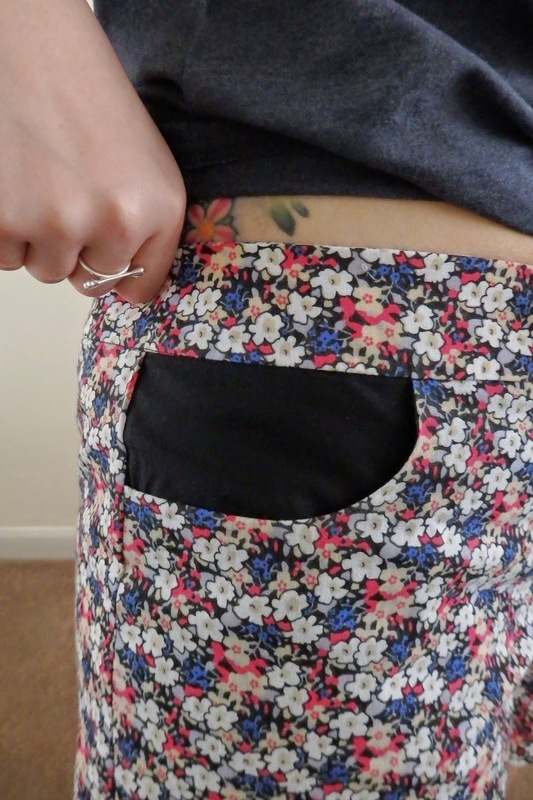 i think the black pockets will help me match them up to black cardigans which no doubt i will be wearing with them. i love a cardigan. here i feel like they match quite well with my little flip flops. i think they look nice with my shirt tucked in or out. i had a couple of head scratching moments, the first being those pockets. aside from the fact i’ve never made real “bottom half wear” before, i’ve never actually put pockets in anything, even though i love them. you have to sew a concave and convex seam together and i just couldn’t get my tiny mind around it. then i saw there was a link to some tips about sewing these anti-curves (just made that up, probably my new favourite not-real-terminology) in the instructions, so i followed that and merrily continued pinning until it resembled the pocket. i guess this is so you can use different fabric on that part to your lining. a silky pocket lining would be nice but i didn’t have anything suitable. the colours are so off on this picture, no matter how i tried editing i couldn’t get them right! the fly zip was a head scratcher too, but only because i’d never done one before. it turned out MUCH better than i had hoped for, i didn’t have to unpick it once, woohoo! i digress. must do more reading ahead next time. better colours. the pictures were literally taken 2 mins apart. 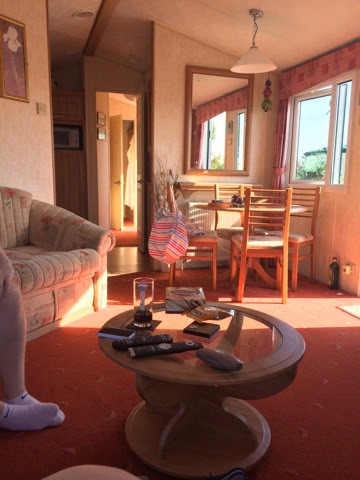 i think the sun had gone in on the one above! i’m definitely, definitely making a second pair of these, plans are in the works already. i’m going to use the left over anchor fabric from my alder shirtdress and then maybe put bias binding around the bottoms in white to make them all the more nautical. 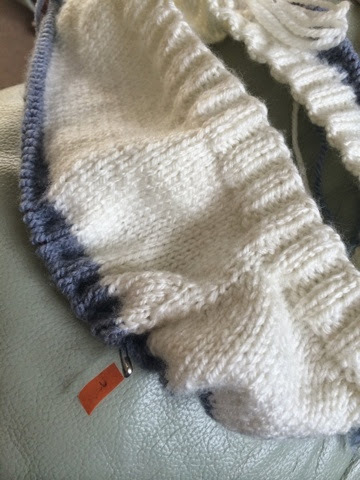 i’m going to use a button instead of a hook and eye closure too. 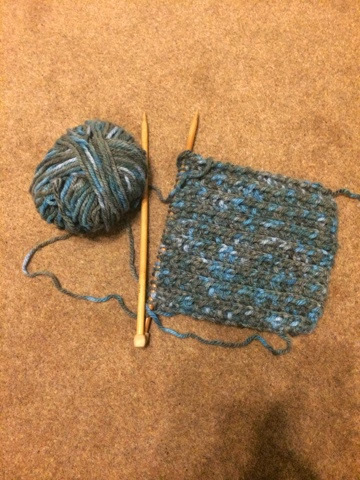 it’s a bit too fiddly! i might even make a denim pair! i feel like these were a really great starting point into sewing trousers/bottom wear, and would tell anyone who wants to try a few different techniques to try this! plus it’s only an 18 page PDF, a manageable amount! Super duper cute! You've inspired me to use some left over floral cotton for my own wearable muslin. Hope the weather holds here. thank you! 🙂 it is really handy to have close, especially for stuff like this where you need some "test" fabric. where do you live? hopefully someone will arrange another birmingham meet up and you can come to the rag market! thanks so much! 🙂 i'm sure there's a better guarantee of sunshine in australia than here! 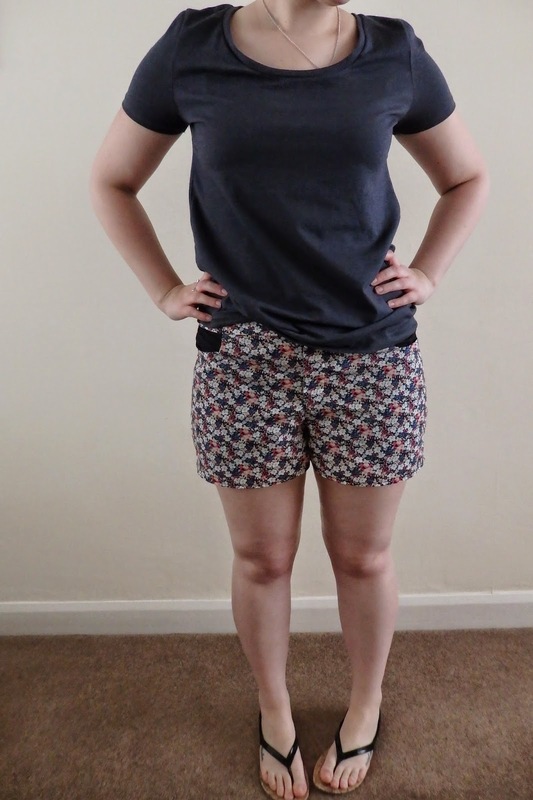 floral shorts are my new fave!